Global Design Project has a all new challenge for us this week. This challenge is a color challeng. I personally love the colors of this challenge. They were so much fun to create with. Be sure to check out all the projects by the Design Team over at Global Design Project. Tip Top Taupe, Mint Macaron, and Watermelon Wonder are all part of the In Color collection . They are happy and cherry colors. This makes them fun to work with. Tip Top Taupe has become on of my go to neutrals. It is such a great color. And Mint Macaron is just lovely. I want walls this color. Actually, I had walls this color or very close. Watermelon Wonder is very versatile. It is going to be a rock star in the spring. But, it is a great leaf color for right now. And will also work for the upcoming Holiday Season. I pulled out a few of my fall stamps that have been neglected this year. For All Things is a fabulous stamp set that has a watercolor fill to it. The stamp set is designed for layering of the stamps with a watercolor look when you get through. If you like the watercolor look but, don’t want to actually watercolor. This stamp set is perfect for you! This set has everything you need to make beautiful cards. The card base is Mint Macaron card stock cut at 5 1/2 inches and scored at 4 1/4 inches. The layers are Tip Top taupe and Whisper White. On the Whisper White layer stamp the images using Mint Macaron, Watermelon Wonder, and Tip Top Taupe. The small Mint Macaron leaf is from the stamp set lighthearted leaves. Make a panel with Mint Macaron, Tip Top Taupe, and Whisper White. The Whisper White is 2 1//2 inches by 3 1/2 inches. The Tip Top Taupe is 1 /8 inch larger. The Mint Macaron layer is 1/4 inch larger than the Tip Top Taupe layer. On the Whisper White layer stamp the Sentiment using a Stamp-A-Ma-Jig. The Stamp-A-Ma-Jig makes it so very easy to get everything lined up just right. Then stamp the watercolor wash stamp in Mint Macaron. Stamp the Branch bundle in Watermelon Wonder over the Mint Macaron wash.
Use Stampin’ Dimensionals to add the panel to the card base. This give the card some much needed dimension and life. Be sure to check out the all new Weekly Deals from Stampin’ Up! This week has some great products on sale. I personally have really enjoyed using my Happy Patterns Designer Mask. Thank You for stopping by Westside Paper Creations. I would love to here from you about today’s card for GDP. Be sure and hop over to Global Design Project to check out all the wonderful creations by the design team. Then scroll to the bottom to see the creations by everyone playing along. Some people just know haw to inspire others. Jennifer McGuire is one of those people. She is a rock star in the stamping world. Not only because of her amazing talent, her beyond fabulous organizational skills, or her superb teaching ability. She’s a star because she is always encoring others! And Jennifer McGuire has new challenge that goes beyond the making of handmade cards. The challenge is Share Handmade Kindness . There will be different each week. This week she is encouraging us to Share Handmade Kindness with family and friends. I personally struggle with actually sending the cards I make. This is so very different from my past life…At one point, I would sit and wright to friends and family. 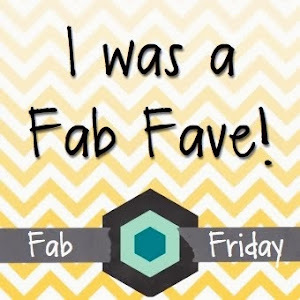 But, as time went by I got out of the habit ….. Therefor, when I found out about Jennifer McGuire’s challenge I know it was exactly what I needed to do. I love the idea of her challenge. So today, I am shearing with you my first project for her Share Handmade Kindness Challenge. When preparing for today, I was not real sure who the challenge would want me to share with. But, I know that I would need cards to share. I decided to use a sentiment that included the word “kindness” seance that was what the challenge was all about. I have been practicing watercolor backgrounds with different types of media. So in practicing with ink refills by Stampin’ Up! backgrounds were created for a simple card that I could reproduce quite easy. I wanted something that would be easy to make several of . So I could Share Handmade Kindness as much as possible. After making several backgrounds I chose two stamps that are in the Holiday Catalog. Theses are bold images that would show up well on the watercolored background. I just gravitate to this stamp set. I love everything about this dove. I have been wanting to “play” with this set more. So this seemed like the perfect opportunity! The cards are all different sizes. I chose three colors to work with. Blackberry Bliss, Delightful Dijon, and Bermuda Bay. It is amazing how many different color combinations can be made from three ink refills. The backgrounds are easy to create. Just simply add a dot of in refill to a acrylic block and use a aqua painter. Pint the background onto watercolor paper. Then allow to dry. The amount of water that is mixed with the ink refill will have a lot to do with what color the ink goes onto the paper. Bermuda Bay mixes well with Delightful Dijon to make a very pretty green. After the background was dry I stamped and heat embossed the image. Finally, adding the sentiment to the outside on some. And the inside on others. Practice makes progress. I am always practicing simple washes of color. Different mediums react different to water. So you bear different results. Practice is key to getting great results. The ink refills work well for backgrounds of this type. But, because they are not “real watercolors” it takes a little practice to get good results. I like to practice a lot!!!! And using bold stamps on top of the washes is a great way to use your practice work. I can’t wait to share these with family and friends this week. I already have my list out and preparing to Share Handmade Kindness. One last thought about Share Handmade Kindness. Some projects are closer to home that other. Jennifer shows the true spirit of a stamper and why we all get involved in crafts. Sharing what we do with others is at the heart of what it means to be a Stamper, craftier, a cook, or artist. We all love sharing our creations. I know I needed a nudge and a reminder about why I was stamping in the first place. Sharing is the Heart of all that I do. I hope you will join me and Share Handmade Kindness. Thank You for stoping by Westside Paper Creations! I am looking forward to meeting you here soon. Congratulations to Dayle, Richard, Sonny, and Kari! You guys won a Paper Pumpkin Kit form me. I will be in touch soon. Have a great Monday my friends. Remember to be creative and to Share Handmade Kindness. Lighthearted Leaves was one of my “must have” stamp sets on the wish list for the Holiday Catalog. I enjoy watercoloring and coloring in general. And this stamp set is perfect for any coloring technique. And it has a very Bohemian fill. Witch I love. I have know for a while now I wanted to use the big maple leaf for a fall card. I started making a card that would feature that beautiful Maple. But, as I worked the beauty of the Maple was not shining through. I finally, went another direction. The results are quite different from my original idea. But, I do love it!!!! When preparing to work with lighthearted leaves I go myself a little stash of M&M’s to munch on while I work. Well, right there in my bowl of M&M’s was my color inspiration!!! Who would have guessed???? It goes to prove that inspiration can come from anywhere at any time. We just have to be open to it!!!! Now I did add Old Olive to the color round up you see above! Adhere the Very Vanilla layer to the Daffodil Delight. Then add the strips of Old Olive and Daffodil Delight. Use Stampin’ Dimentionals to add the card to the card base. Wallah….a beautiful card!!! Don’t forget to decorate the envelope. This makes it extra special and pretty for the trip through the mail!!! Thank You for stopping by Westside Paper Creations. It is Friday!!! I am supper excited for the start of College Football tomarrow! I will get to watch all my favorite teams play ball. And it is always a good excuse to avoid any chores…..I hope to see you back here soon.